Ever wish you could take home one of our 26 tap beers? Well, now you can! Purchase your own Ivanhoe Growler and fill it with 64 ounces of your favorite beer. Be green and refill your growler. 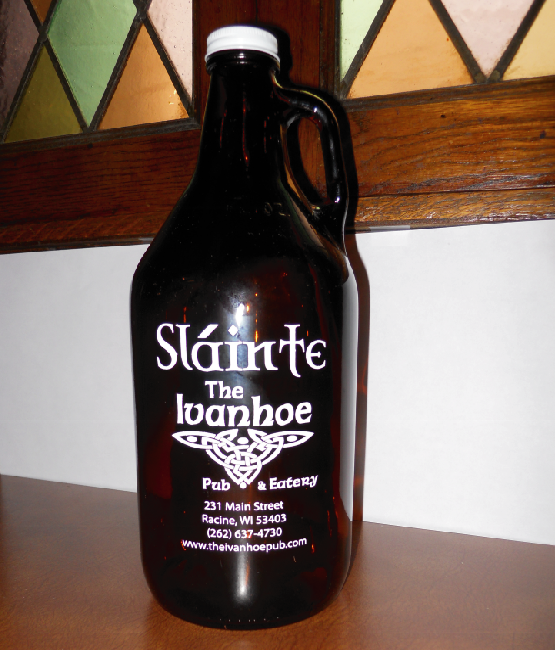 Growler purchases must be made before 12:00 am and they are for take-out only. $16.00 for the first fill, $12.00 refills for imports and microbrews.